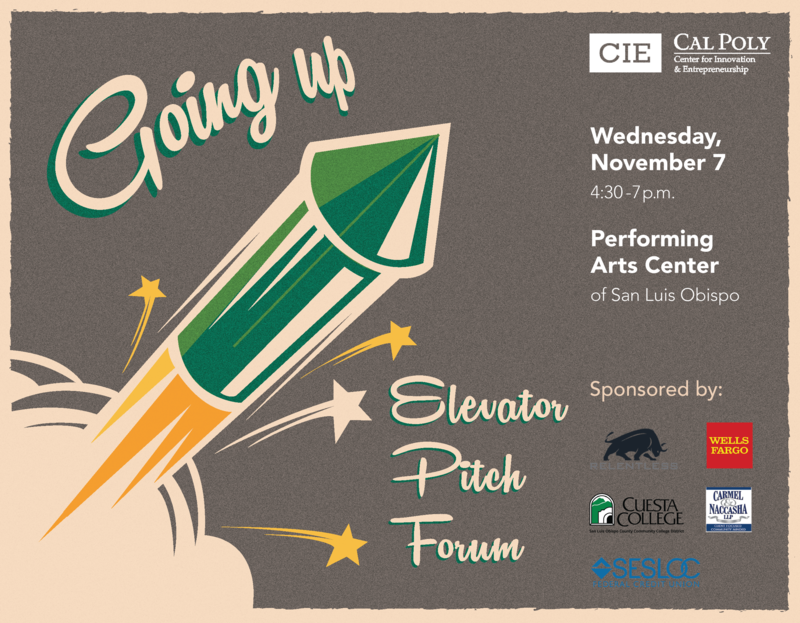 The Cal Poly Center for Innovation and Entrepreneurship will host the ninth annual Elevator Pitch Competition Forum, a fast-paced contest for Cal Poly and Cuesta College entrepreneurs, on Wednesday, Nov. 7, in the Performing Arts Center on the Cal Poly campus. The forum — free, open to the public — will be held from 4:30 to 7:30 p.m. Students will have 90 seconds each to pitch their cutting-edge innovations and business ideas. Judges will select two winners; one from Cal Poly and another from Cuesta. Each winner will receive $1,000. The audience will pick an overall “audience choice” winner that will receive $500. AJ Forsythe, the co-founder and CEO of iCracked, is the keynote speaker. He won the first annual Elevator Pitch Competition in 2010 with a proposal for an on-demand smartphone repair network. What was once a Cal Poly student-founded startup with Forsythe as its first iTech has evolved into a multimillion-dollar company with more than 70 employees. In the past eight years, iCracked has attracted some 5,000 iTechs who have performed nearly 774,000 repairs across the nation. Forsythe will discuss iCracked’s transition from startup to success.